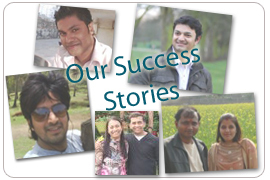 Immigration Solutions is one of the best immigration visa consultants offering services worldwide from Mumbai, India. We assist with legal immigration /migration to Australia, Canda, UK, Denmark, Hong Kong and New Zealand. Our Senior Consultant is a Registered Migration Agent (MARN 1170267) and is a member of the Migration Institute of Australia (MIA 4582) . We abide by the MARA Code of Conduct.